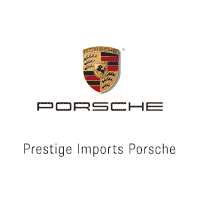 At Prestige Imports Porsche in Lakewood, Colorado, we offer a one-of-a-kind experience for our customers. From our annual Oktoberfest event, during which we provide a taste of German culture and cuisine, to an array of complimentary services, our team is dedicated to rewarding you for making this pinnacle sports car a part of your family. If you’re ready to browse, we have plenty of available new Porsche cars, including the Porsche Cayenne, the Porsche Macan, and the Porsche Panamera. Between our new inventory and our used car dealership, we are sure to have something that excites you. For your peace of mind, we offer CARFAX reports for vehicles in our certified used inventory. Our finance center tools allow you to prequalify for your car loan, calculate your payments, and more. Visit our Porsche service center for basic maintenance and a variety of repair procedures, and don’t forget to look at our service coupons. Whether you’re in need of a new car or repairs for your old one, visit Prestige Imports Porsche today. For questions, contact us online or call our store. Had a great experience working with Dean and Lindsey to purchase a Jeep Grand Cherokee. They made it an easy and transparent process. I will go back for future purchases. Great communication and attention to detail.